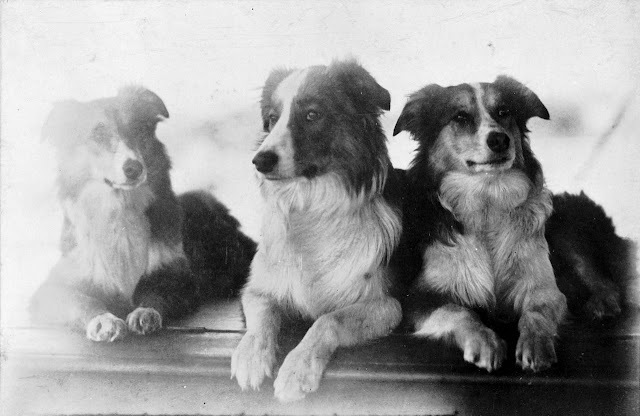 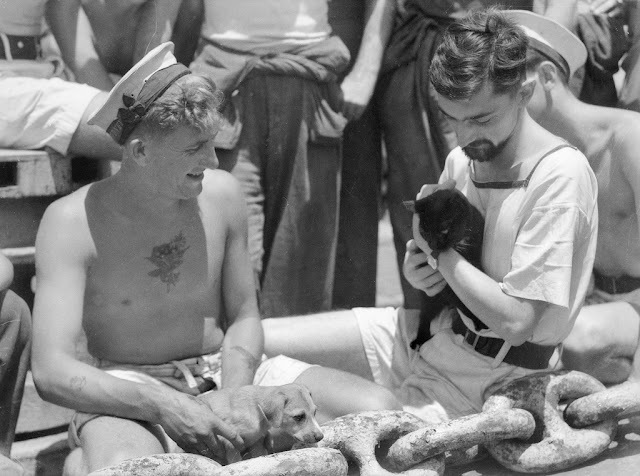 I find it so wonderful how people the world over, at all different times and in all different circumstances, have wanted to have animals with them as pets (see Wartime Pets Part One and Two!). I'm typing with a cat sitting on my feet-- and I love being able to think that people in the past have felt the very same delight for and love of their pets that we still do. 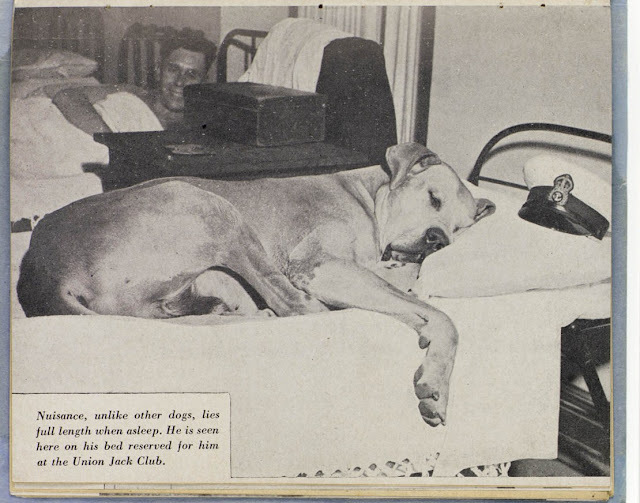 Today's example of this touching endurance are ship's pets. 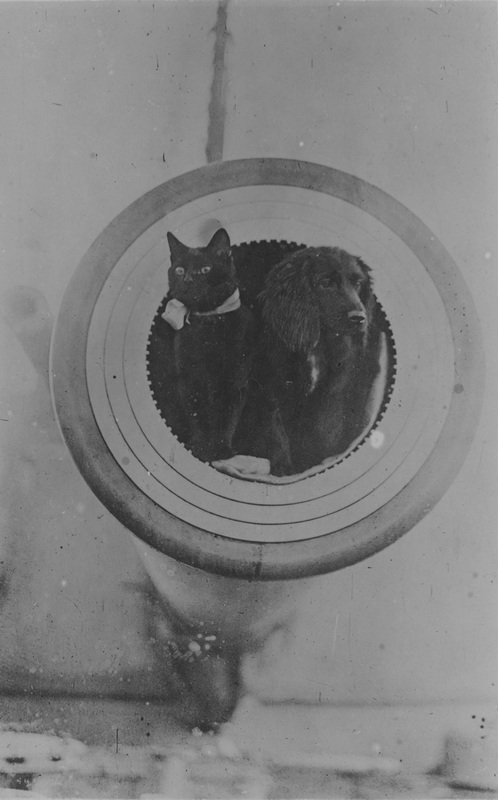 Both in peace and wartime pets have taken to the seas and been well beloved. 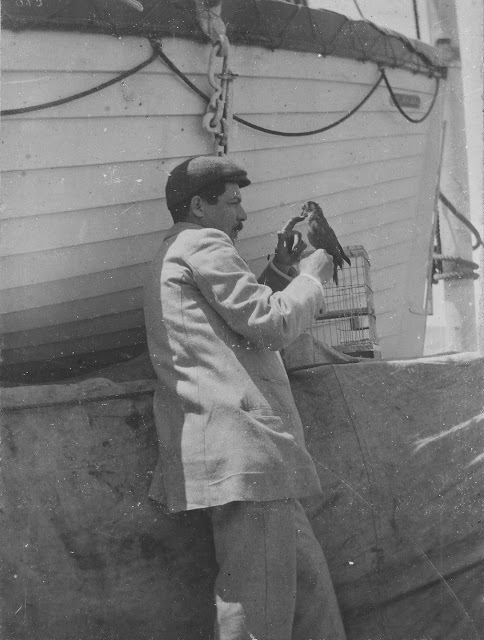 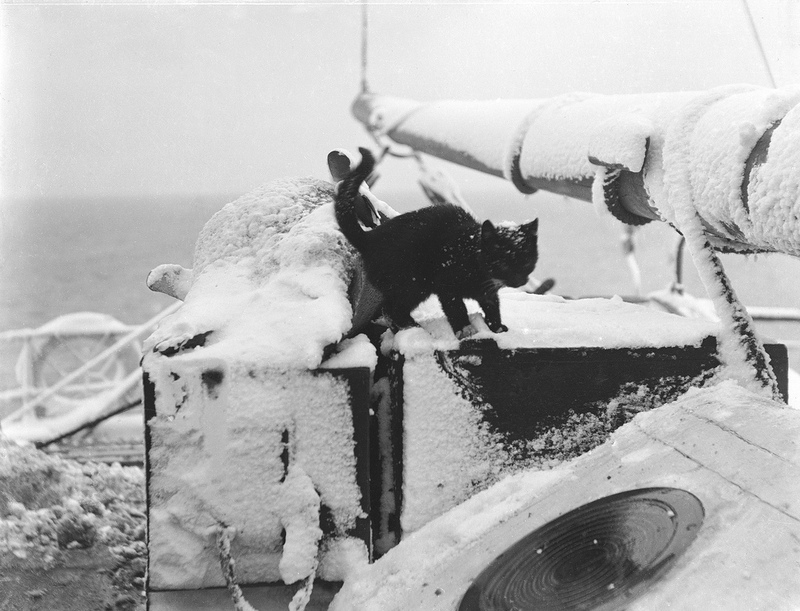 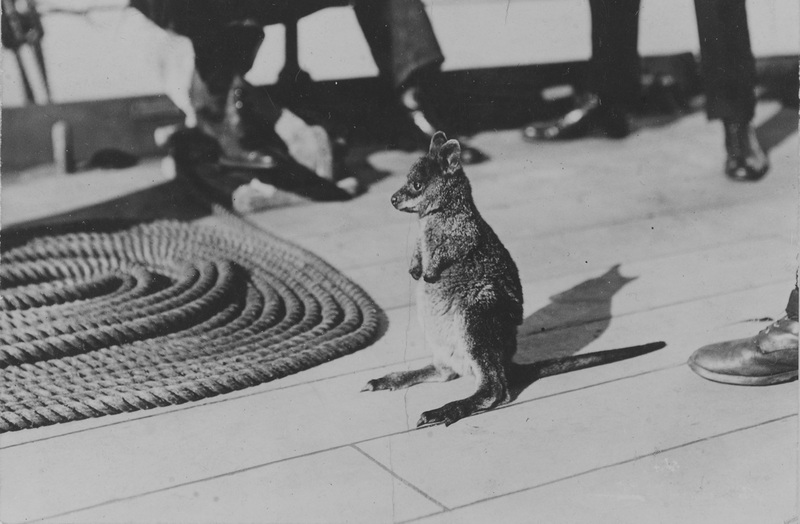 Ship's cats certainly have a use in going after the rats and mice, but you soon see in photographs of cats and sailors that this was hardly their only purpose. There are loads of dogs, birds, monkeys... and even more exotic pets, as shall be seen! 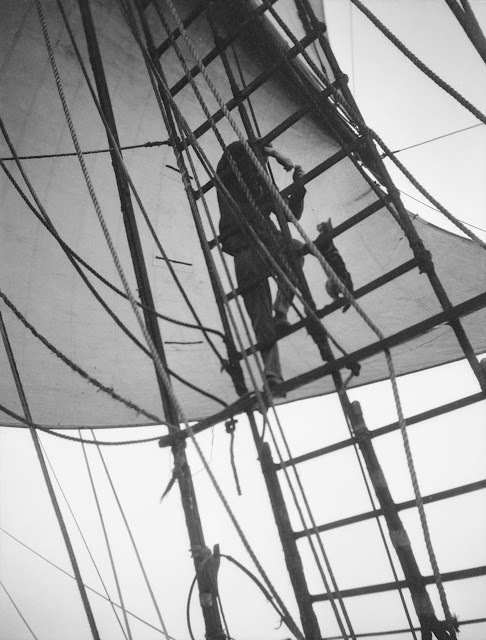 The National Maritime Museum in Greenwich, UK, has a magnificent collection of these photographs, and this shall assuredly be the first in a series.